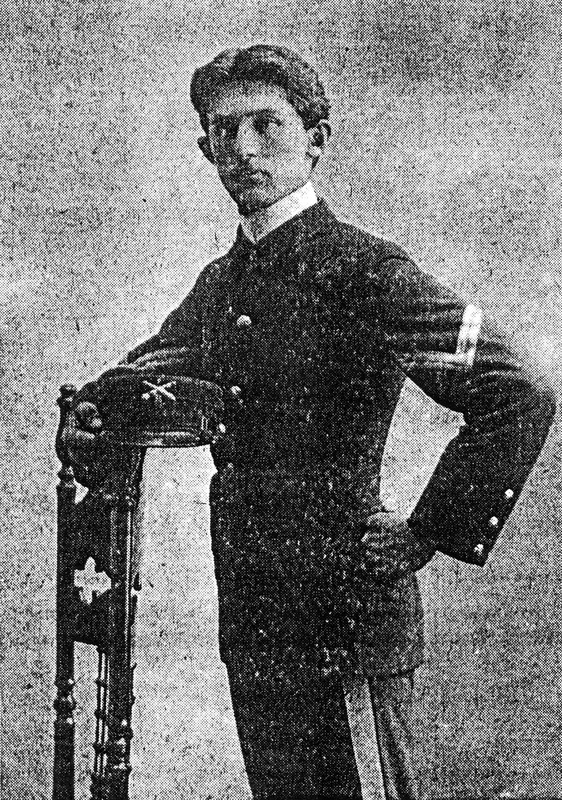 E. M.Viquesney in Spanish-American War uniform, c. 1898. Owen County Heritage and Culture Center. 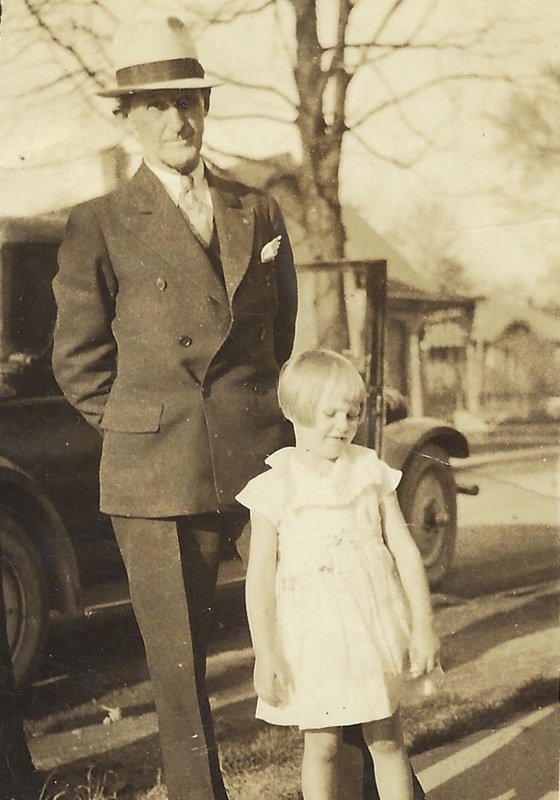 E. M. Viquesney and possibly a niece. Photo supplied by Robert L. Jackson. Although he created one of the most famous and enduring WWI monuments, very little is known about Viquesney hmself. Much of what is known comes from the research of T. Perry Wesley, whose 1991 Doughboy Report summarized the sculptor's life and work up to that point. Further studies by others like Earl D. Goldsmith, Alan Anderson, Robert Jackson, Shirley Tracy, and Les Kopel have added to, and corrected much of what is now known. 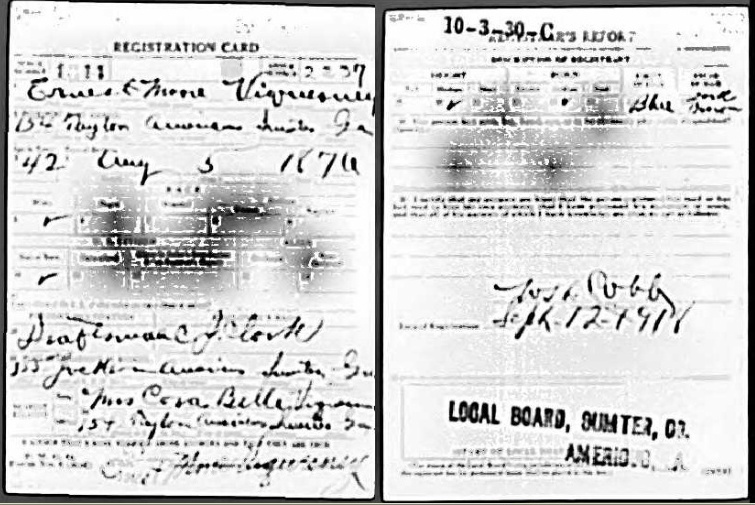 Another source is Viquesney's own obituary, in which he included a self-written "life history". 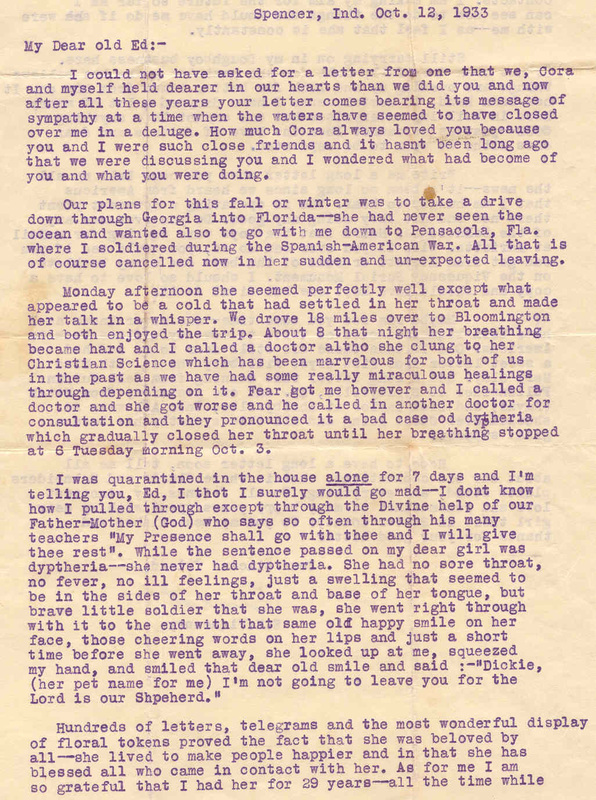 A seeker of religious truth, Viquesney sent the following letter to the Bible and Tract Society in September, 1909. 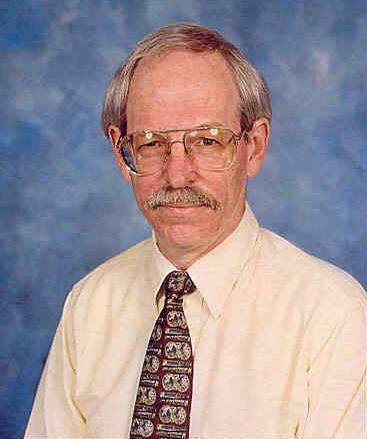 He and both his first wife Cora and second wife Betty were fervent Christian Scientists. I have through the kindness of a friend here, a Methodist minister, been allowed the grand privilege of reading your first volume, entitled, "The Divine Plan of the Ages," and was very much impressed with it. Its ideas so nearly concur with my own that I am very anxious to have more of the light and beg to enclose herewith check covering the cost of the remainder of the books and "The Watch Tower." I look forward to the arrival of "The Watch Tower," as I am very anxious to keep in touch with present-day happenings in relation to the Scriptures and feel that it will be a source of light to me at all times, as the books have and will be. I wish to say that I have never been a Church member and have been called an infidel on account of my non-belief in a Father who could torture throughout eternity people created by him in his own likeness when they were born in sin and were so weak. The first glimpse of the "Divine Plan" made me feel that I was not entirely alone in my belief and that the coming of the Saviour could be looked forward to with great longings and happiness instead of misery, separation, torture, etc., to some probably who were dear to us. I am a young man, a deep reader and have until finding your books been unable to secure much consideration from the ministers of the (sect) churches, as all of them left the impression upon me that one must be a member of some church to be saved. Will you please forward books and paper promptly, as I do not wish to miss a single enlightening point, and have a dear wife and mother I am so anxious shall see the great light as I see it. Yours very truly, E. M. VIQUESNEY--Ga."
Among the rarest of Viquesney items are personal letters. 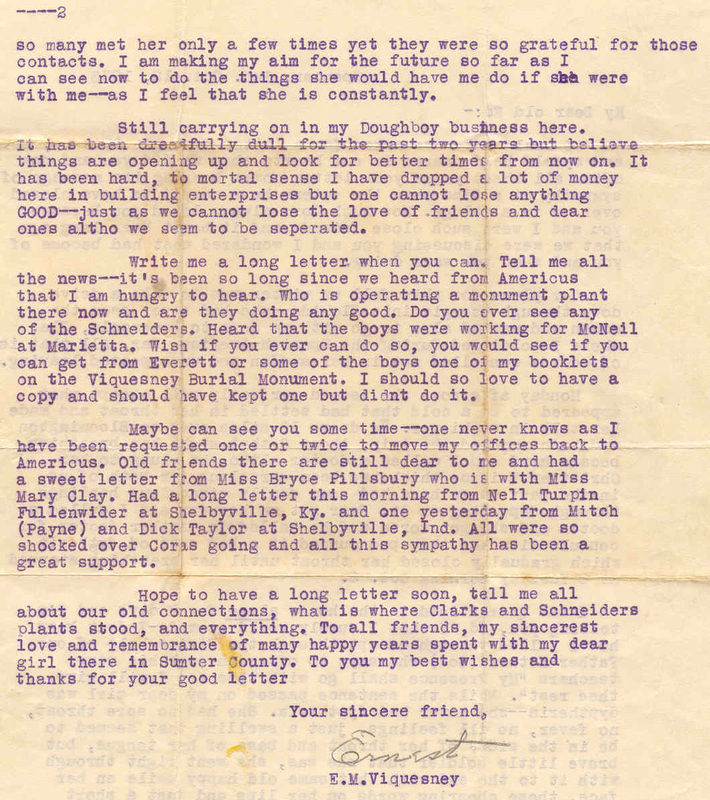 Here, through the courtesy of Alan Anderson, Archivist for the Sumter County Historic Trust, Inc., Americus, Georgia, is a letter written in reply to friend Ed Purvis, a former co-worker of Viquesney's when they both worked at Clark's Monuments. Mr. Purvis (Alan's maternal grandfather) had heard of the death of Viquesney's first wife, Cora, and had written a letter of condolence. Below is Viquesney's reply to his old friend. The images can be clicked on to enlarge.